Congratulations to Cooper May as this year’s Evans Spear Award recipient. 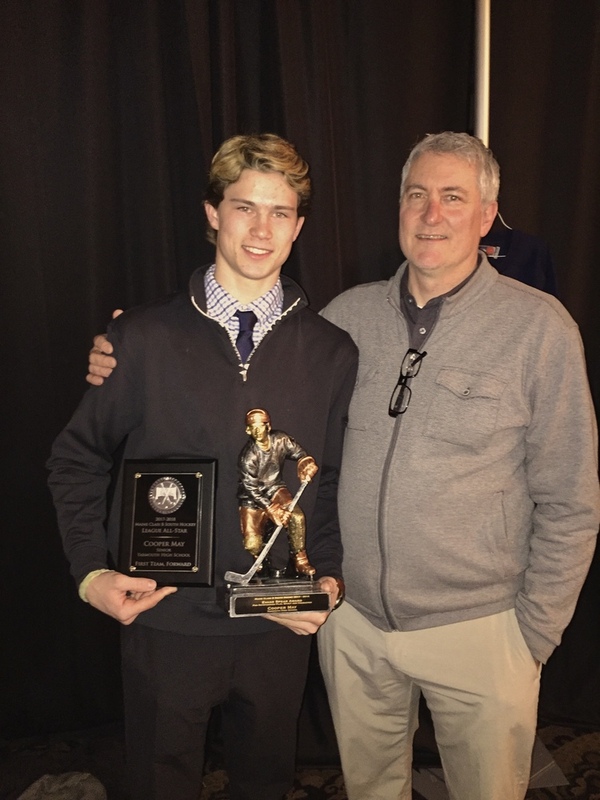 The Evans Spear Award is given each year to the Most Outstanding Player in Class B not only in terms of significant on-ice success at the varsity hockey level, but equally in terms of character, passion, and spirit in the memory of Evans Spear. Coach Dave St. Pierre describes Cooper as “a quality young man who excels in the classroom and community, a leader in every sense of the word.” Outside hockey, May has earned a 94 G.P.A., participates in the Green Group to raise student/teacher mental health awareness, is a student ambassador, and has participated in YHS drama productions.